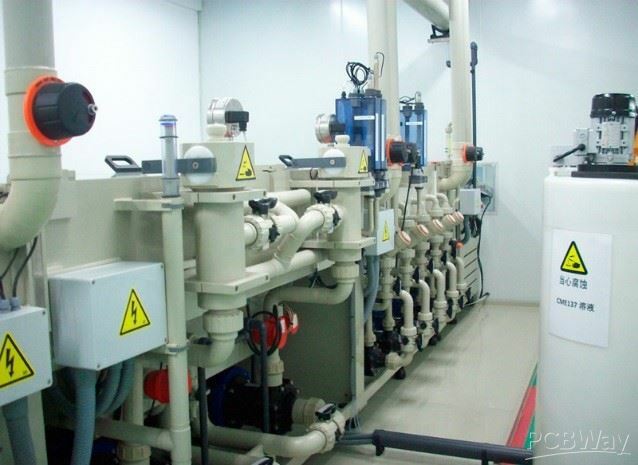 Electroless plating is widely used in the printed circuit board (PCB) production and processing which has holes on that and it can also be called PTH(Plate Through Hole), the main purpose is to deposit a layer of copper through a series of chemical treatment methods in the conductive substrate, and then increasing the thickness of the copper layer through subsequent electroplating methods to its specific thickness of design which is usually 1 mil (25.4 um) or more thicker, and sometimes even directly increasing the thickness of copper of the whole printed circuit board by using the special chemical methods. Generally, a PCB is a thin board made of fiberglass, composite epoxy, or other laminate material. Conductive pathways are etched or "printed" onto board, connecting different components on the PCB, such as transistors, resistors, and integrated circuits. Non-woven Glass Fiber Polyester Substrate (MENA grade): it is suitable for some special usage and the common types are FR-6. The holes on non-conductive substrate may achieve interconnection among layers or have much better solderability or gain both of them after finishing metallization. 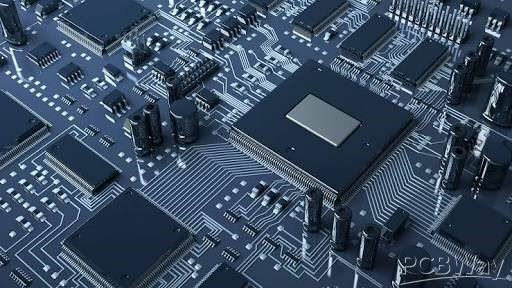 There may be some inner circuits in the interior of the non-conductive substrate---the circuits by etching have been there before laminating and these boards in this process are also known as multi-layer board (MLB). In the multi-layer board, the metallization hole not only plays the role of connecting two outer circuits, but also plays the role of interconnection between inner layers when it is designed to pass through the non-conductive substrate (The concept of a blind hole has not been formed at that time). Nowadays, many circuit boards adopt laminated substrate blanking in the manufacturing process. That is to say, the surface of non-conductor substrate is a certain thickness of copper foil layer which is made by electroless plating. The thickness of the copper foil is expressed in terms of the weight (ounces) of copper foil per square foot. The exist of hexavalent chromium in the holes may cause many problems which may result in puncture being a common result of this obstruction such as influencing the coverage of copper foil, destroying the tin-palladium colloid, hindering the reduction reaction of copper and so on. This situation can be solved by secondary activation, but rework or secondary activation cost is too high, especially in automatic line. Besides, secondary activation process is not very mature up to now. There are always some neutralized processes after the crimic aicd. 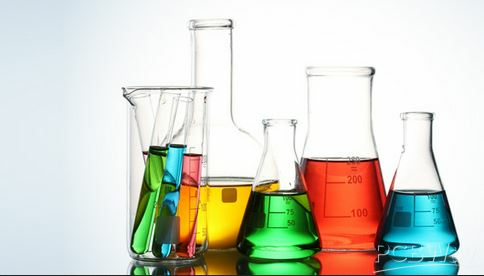 For example, the sodium hydrogen sulfite solution is always used to reduce the hexavalent chromium to the trivalent chromium and the temperature of the sodium hydrogen sulfite solution is generally around 100F. The washing temperature is usually 120-150F after neutralization. Clean sulfites solution can be used to wash, avoiding other solutions that are brought into the process and interfering with activation. There are also other chemical methods used in removing glue stains and other spots which form in the process of etching or plating, such as the application of the organic solvents, the potassium permanganate solution as well as the concentrated sulfuric acid solution. 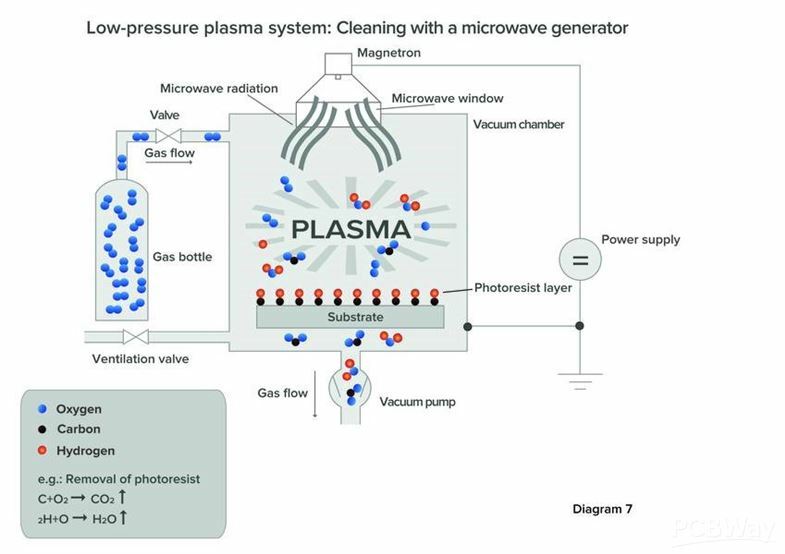 In addition, the plasma method can also be used but now is still in the experimental application stage, which is difficult to be used for large-scale production because of its large equipment investment. 4. 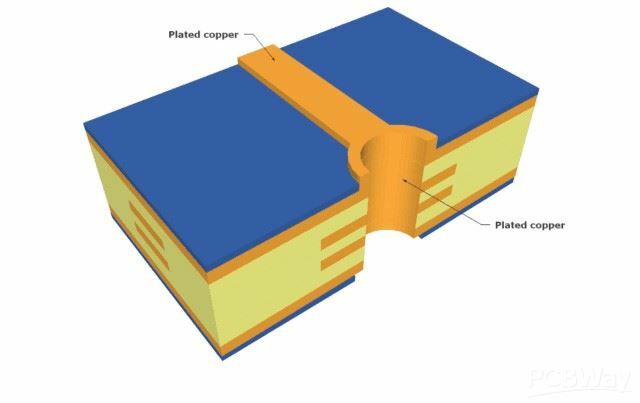 Ensure the binding force between chemical deposited copper layers and non-conductive substrates. ⑦ Washing effect after removing oil. 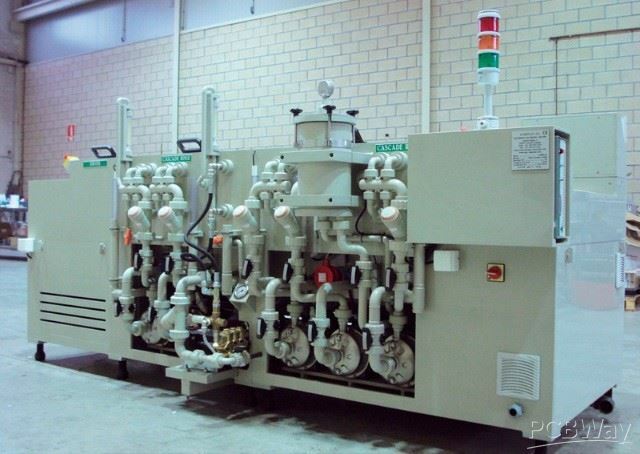 The washing after removing the oil is in a sense as important as the oil removal itself, and the remaining oil remover on the board surface and the hole wall will itself become a pollutant on the circuit board, which then pollutes the following other major treatment solutions such as micro-corrosion and activation. The typical charge adjustment process is used after oil removal. Generally, in the production of some special plates /span>multi-layer boards, the charge adjustment process is needed in the process of smear removal /span>etchback because of the charge factor of the resin itself. An important role of charge adjustment is to conduct "super impregnation" on non-conductive substrates, in other words, to transform the resin surface with weakly negative charges into a surface with slightly positive charges after the treatment of the correction liquor. In some cases, providing a uniform continuous positive charge polar surface can ensure that the activators can be effectively and adequately attached to the hole wall in the subsequent process. Sometimes, the adjusted drug is added to the oil remover, so it is also called the oil remover adjustment fluid. Although the separate oil remover and the adjustment liquid will be more effective than the combined oil remover adjustment fluid, the trend of the industry has combined the two, and the modifying agent is actually just some surfactants. After finishing the charge adjustment, washing is extremely important. If the washing is not done properly, the surfactant will remain on the copper layer of the board that may contaminate the subsequent micro-etching and activated solution, which may affect the final binding force between copper and copper. As a result, the binding force between chemical plating copper and substrate copper would be reduced. The temperature of the cleaning water and the effective flow of the cleaning water should be noticed and special attention should be paid to the concentration of the adjuvant, and in the meanwhile, the use of too high concentration of the adjuvant should be avoided as the right amount of adjuvant will have a more obvious effect. ② If some surfactants were not washed in water, microetching inhibitors can etch the cooper foil at the bottom of the substrate in order to remove the surfactant on the surface of the substrate, but depend entirely on micro etching agent to take out the surfactant is not too realistic and effective. For example, when the area of the surfactant left on the copper layer is larger, the function of microetching inhibitors is very small, and it even cannot exposure the surfactant on the copper layer.